It is a common problem: Home Wireless Router’s reach is terrible that the WiFi network even does not extend past the front door of the room. My house also has all kinds of Wi-Fi dead zones, but can we fix it? The answer is: YES. The problem will improve with a future, longer range version of Wi-Fi that uses low power consumption than current wireless technology and specifically targets at the internet of things (IoTs). The HaLow standard is seen as an essential for the internet of things (IoTs) and connected home appliances. As more and more appliances in our homes are connecting to the Internet, it is quite harder for our home Wi-Fi wireless routers to reach every device. 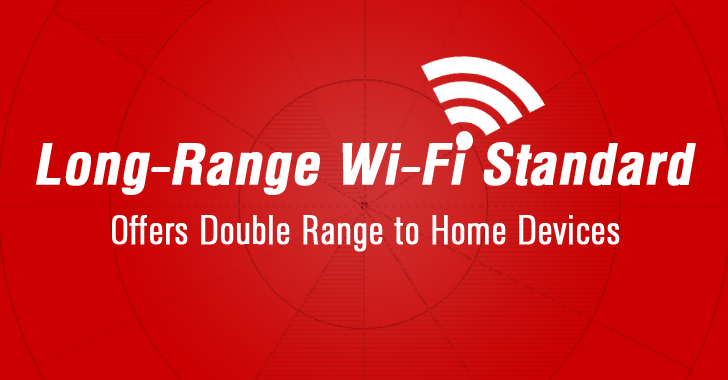 “Wi-Fi HaLow is well suited to meet the unique needs of the Smart Home, Smart City, and industrial markets because of its ability to operate using very low power, penetrate through walls, and operate at significantly longer ranges than Wi-Fi today,” said Edgar Figueroea, president of the Wi-Fi Alliance. Several sensor-enabled and internet connected devices in our homes, like door sensors and connected bulbs, require enough power to send data to remote hubs or routers at long distances, but the current Wi-Fi standard does not lend itself to long battery life and transmission distances. However, HaLow standard will likely offer slower throughput speeds than conventional WiFi that considers the smaller data demands of internet connected devices as opposed to those designed for web browsing. HaLow standard is expected to be especially useful in connected cars as well as battery-operated devices around the home like smart thermostats, smart locks, connected bulbs as well as mobile devices. “Wi-Fi HaLow expands the unmatched versatility of Wi-Fi to enable applications from small, battery-operated wearable devices to large-scale industrial facility deployments – and everything in between,” Figueroea said. The WiFi Alliance is expected to begin certifying first products bearing a Wi-Fi HaLow certification in 2018, after which the technology requires to make its way into your home router, then into your wearable.